WBTX-319 and WBTX-345 - Winland Electronics, Inc. The ALL NEW!! 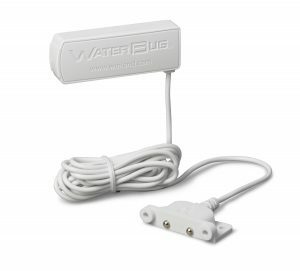 Wireless WaterBug® Sensor is a water detection device ideal for computer rooms, document storage areas, warehouses, sump pumps and basements. Wireless sensors activate the alarm when a conductive bridge is formed between 2 contacts. The WBTX will effortlessly protect your most valuable assets from water damage!